Eid gifts for my family: hand-bound books made by me! 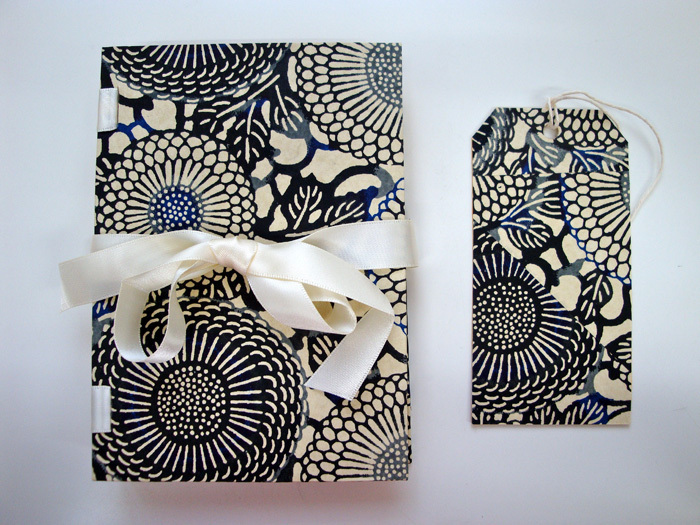 I thought that you might be interested to see the books in a little more detail, but before I start, I should mention that the instructions for the bookbinding project came from a fantastic tutorial that I found on Molly Brooks’ blog post. Very highly recommended! Read through Molly’s post, and you will begin to appreciate the effort that went into each book – a labour of love! 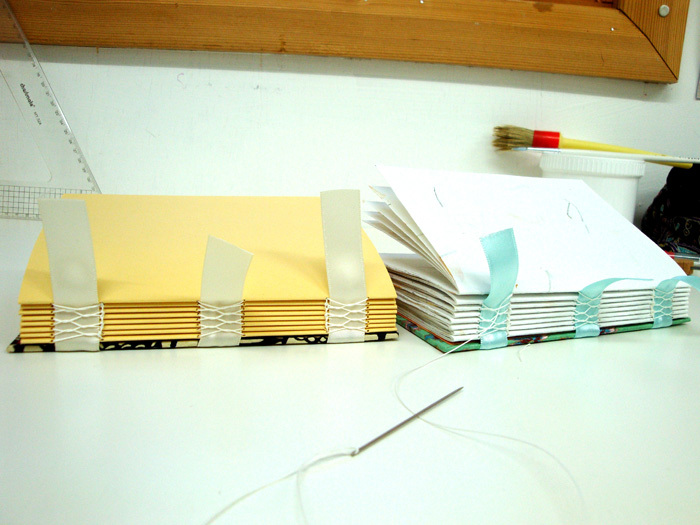 This bookbinding technique is called “open spine binding” because the book’s spine is exposed. 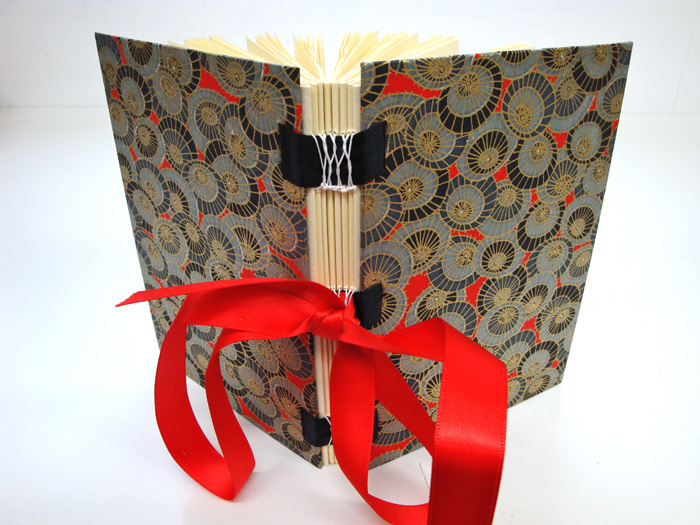 In her tutorial, Molly suggests using bookbinder’s tape to secure the covers – I have used decorative ribbon instead. I hope it will be resilient enough! I also threaded a long piece of ribbon through the central “tape”. This is purely for ornamental purposes, and can be used as a bookmark, or to tie the book shut. The book above is for my brother, and I filled it with parchment papers so that he can use it to scribble down his notes and thoughts. 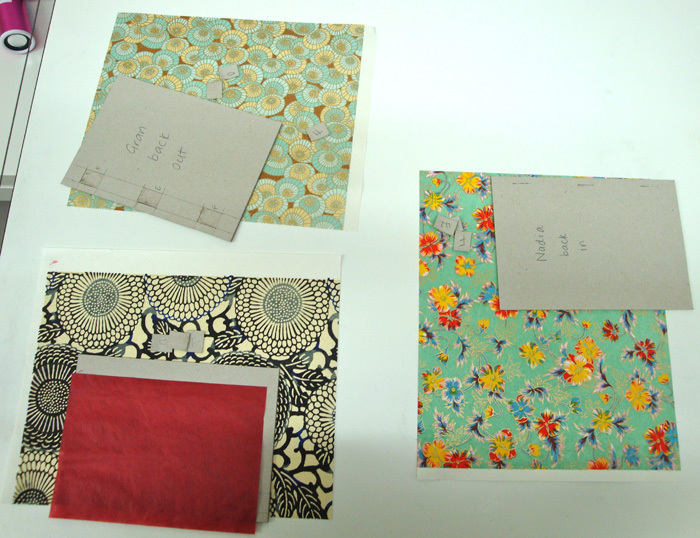 Japanese and Nepalese papers for the covers and endpapers. I wish I could take credit for the beautifully patterned covers, but the designs come from printed Japanese papers that I bought at Falkiner’s on Southampton Row in London. 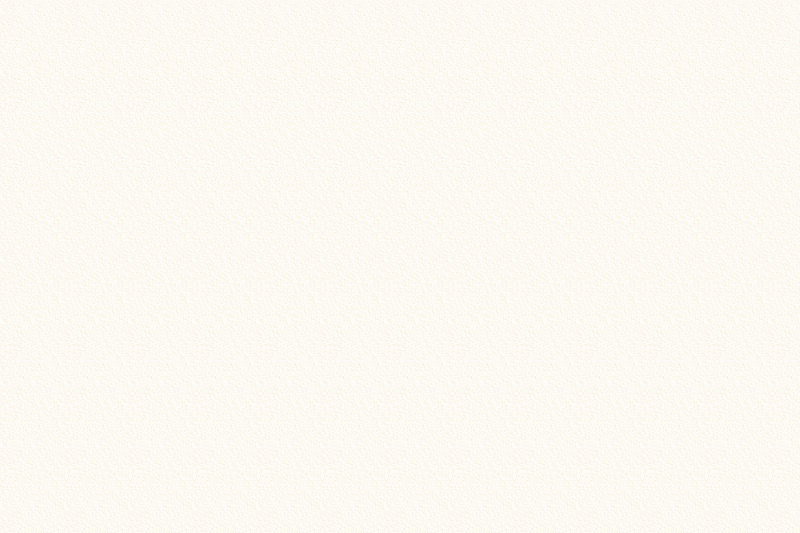 In fact, you can buy all of your papers and bookbinding equipment from here. For the endpapers, I used some vibrant handmade Nepalese paper that I bought a long time ago and have been itching to use for ages! Book signatures (interior pages) and cover. Sewing the pages to the cover. 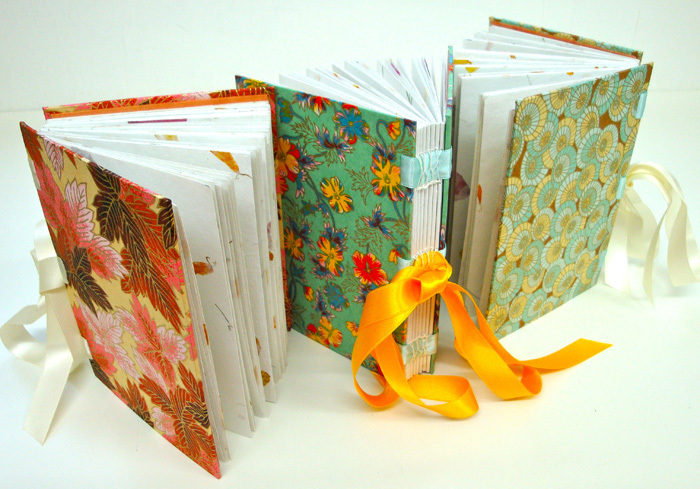 My Mother’s book contains handmade pages that are infused with marigold and bougainvillea flowers! She was thrilled with her gift. It may be just my imagination, but I’m sure that the pages give off a faint flowery scent as you open the book. Books for my Mother and Sisters-in-law. Above are the books that I made for my Mother and Sisters-in-law. My Sister-in-law’s book (on the right) contains pages that have been infused with cornflowers. Books for my Brother and Father. Although these two books have the same cover, the interior pages are very different. I have used a handmade watercolour paper for my Brother’s book (with the black ribbon, on the left), as he is quite arty! My Dad’s book contains parchment papers for note-making. 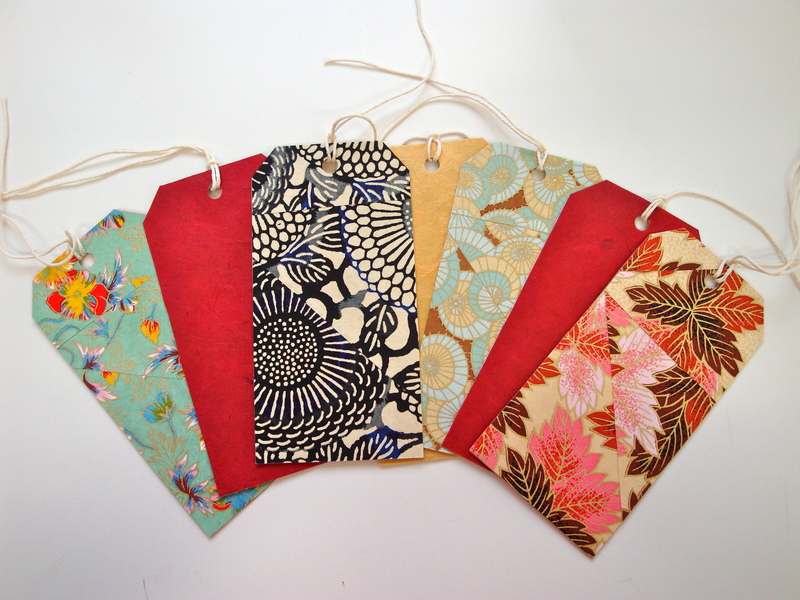 Matching gift tags made from the off-cuts! All in all, my family were thrilled with their Eid presents and a great day was had by all. 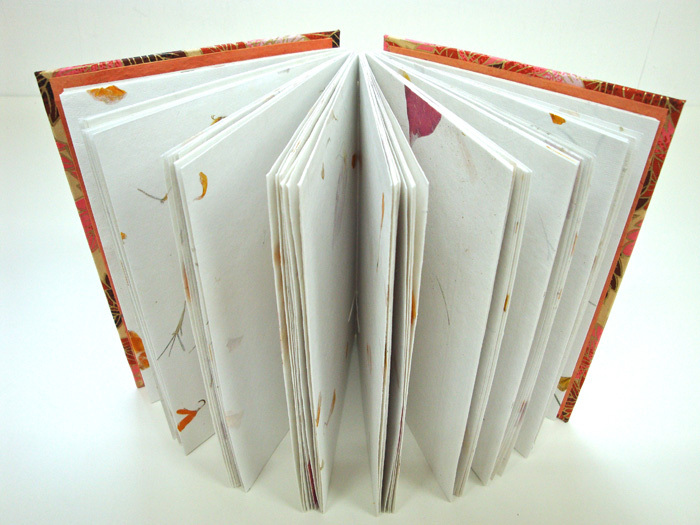 If you would like to try your hand at making a book like the ones in this post, don’t forget to take a look at the instructions on Molly Brooks’ site. And good luck! 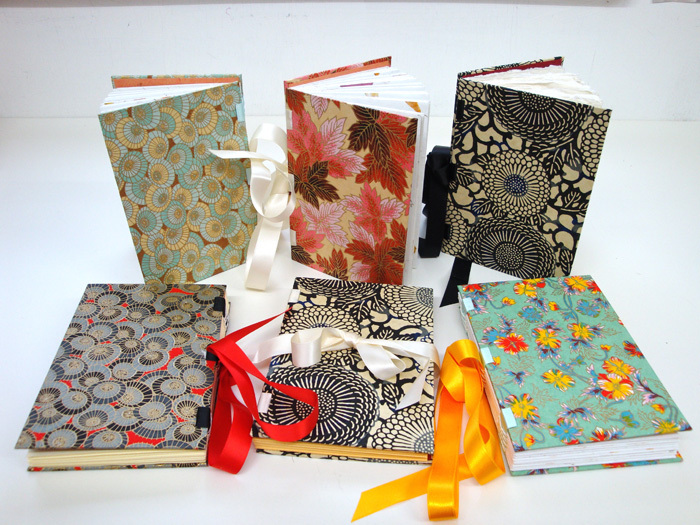 Happy bookbinding! 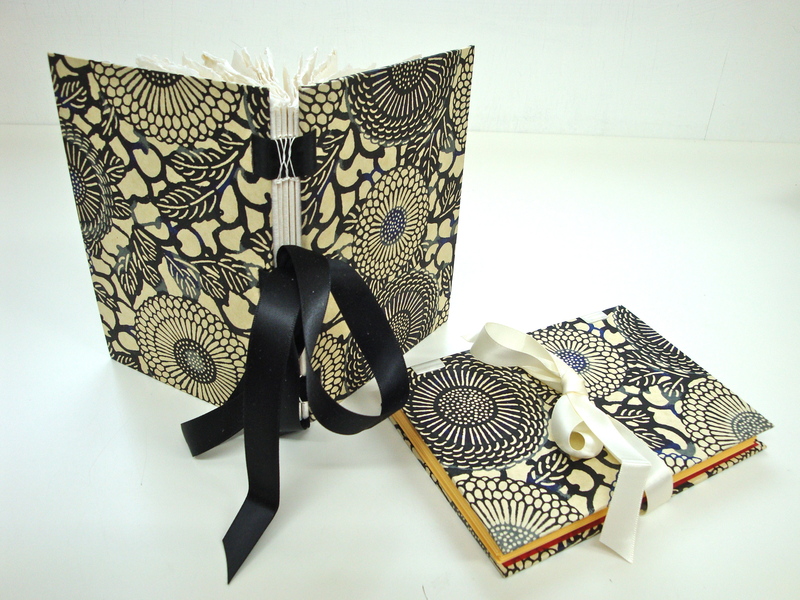 This entry was posted in Bookbinding, Stationary Design. Bookmark the permalink. 3 Responses to Eid treats! hello ayesha! these look fantastic! thanks so much for sending me the link so that i could see your beautiful books! i’m glad you found the tutorial helpful, and i’m sure your family all adored their gifts. 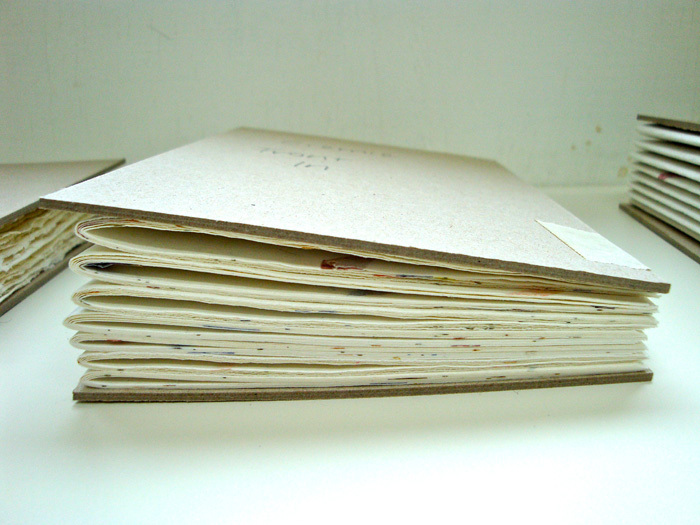 i especially love the paper combinations you used– picking the papers is always my favorite part.